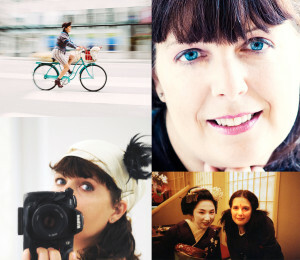 Tallulah is a photojournalist who documents the lives of people and cultures throughout the world. Whether it is the slums of Soweto, the jungles of the Amazon or a Haitian voodoo possession ceremony, Tallulah captures the spirit and humanity of her subjects through evocative visual storytelling. Tallulah’s images are haunting, beautiful, poignant, compassionate, insightful and always full of life. A master of ambient light, Tallulah captures exceptional images outside a studio setting in the most challenging of conditions: extreme heat, sandstorms, the deep of night or natural disasters. Her photojournalism has been showcased in ELLE Canada, Trek, Corporate Knights and The Globe and Mail, among other publications. She has also held solo exhibitions in Beijing and Canada. Tallulah has provided photography to non-profits and international NGOs, who utilize her pictures to add impact and emotion to their message and mandate. Tallulah’s latest photographic work is a long-term project titled The World People Project, a series of portraits and conversations that capture the unique, creative and quirky side of seemingly ordinary individuals. Many times a day, the people you see crossing the street, or those you meet on your travels, make you wonder: “What is their life like? What is their story?” Tallulah captures these individuals’ personalities to create portraits that reflect their unique place in this world.